L2TOR (pronounced ‘el tutor’) is the abbreviation of a research project, called Second Language Tutoring using Social Robots, which was funded by the European Commission Horizon 2020 programme. The project ran from January 1st, 2016 until December 31st, 2018. 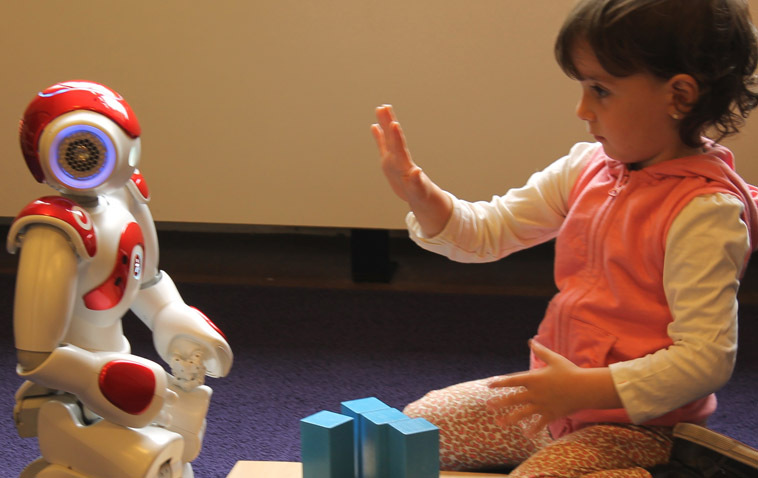 The project investigated how a social robot (SoftBank’s NAO) can be used as a tutor to support preschool children aged 4-6 years learn a second language (L2). Various experiments were carried out in which native speakers of Dutch, German and Turkish learned some English vocabulary. In addition, English children learned French vocabulary and grammar, and Turkish immigrant children learned Dutch words as L2. In all cases, the children learned by interacting with a small humanoid robot, SoftBank’s NAO, which we called Robin the Robot for the children. In most studies, the interactions were mediated by a tablet game that provided a context for children to learn from, as well as a way to receive input from children. The main experiment of the project was a large-scale field study in which approximately 200 Dutch children learned English words during seven lessons. 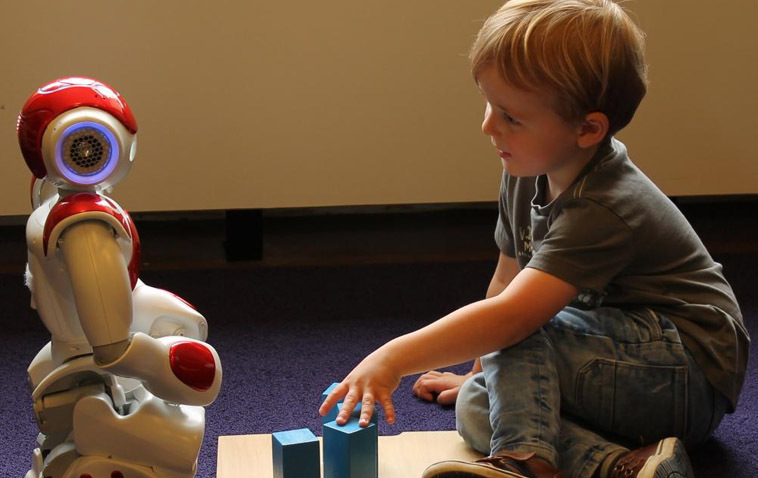 This study revealed that children can successfully learn from a robot. However, in our current set-up, the children could learn equally well from the tablet game without the support of the robot. The paper reporting this study has won the prestiguous Best HRI Studies Award at the International Conference on Human-Robot Interaction in South Korea. Check the paper. Project “L2TOR - Second language tutoring using social robots". Grant agreement no. 688014.